This is the committee group for UX Connect and we're accepting enthusiastic volunteers from the community for social impact projects and pro bono work for the group. Our mission is to spread our wings and grow from city to city so this is an opportunity to hop on board and do something great for the community we both have shared interest in. You will be involved in hosting and managing events, liaising with partners and speakers, representing the group, collaborating with the team either virtually or in person, as well as promoting our events at will and at your free time. UX Connect London is a spin-off of the UX Connect Group, established for the London creative community and has become a rapidly growing local networking group with over 1,000 memberships of those in and interested in User Experience. 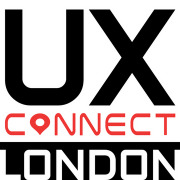 UI/UX Designers, Consultants and Researchers; Interaction Designers; Content Strategists; Information Architects; Usability Testers; Scrum Masters; Product Managers; Visual Designers; Copywriters; UX students and enthusiasts with the resources (time, skills, energy and/or money) to support one of London's fastest growing UX community. You will need a passion for UX, a commitment to seeing UX Connect succeed and grow, and a real desire to support colleagues in the industry. Committee members do not receive any personal remuneration, but it is a truly rewarding and social experience! 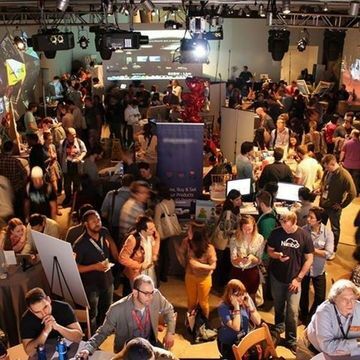 Creative professionals, freelancers, students and enthusiasts with the desire to host group events first hand, provide technical, strategic or operational support should join. We aim to build an inclusive community where people can meet, learn and discuss about design and digital product usability in person. Getting involved is a great opportunity to share your knowledge and experience to help our industry. You’ll get lots of opportunities to meet like-minded people, it will help your CV and most importantly it is fun too! If you are motivated to help and have a few hours free each month then we’d welcome your help. • ~60 minutes a month on group chat to discuss events, organize activities, and provide strategic support. • ~2 hours a month to host events and support our operations in person. What can volunteers expect out of this group? 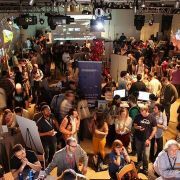 • Organise and/or host insightful, useful and engaging events around a broad range of UX topics across cities. Yes, across cities! • You decide the theme and format of your event and secure speakers. Logistical support will be provided by the Event Manager. You can even get paid organizing events with us. Follow this link to learn how. What is in it for members of the spin-off groups? Play an active role in shaping the creative local community and be part of our fast-growing group. Join our adventure today! You do not necessarily have to commit to all the requirements, neither do you need to come and help at all our events, although that would be great. We are flexible and you can contribute in other ways such as by moderating or speaking at our events, video-capturing our events, supporting us remotely on technical work such as design, development or video edit in an efficient and reasonable manner. Other available roles include Admin, Welfare, Marketing, PR & News. We would appreciate it if you could aid us with a venue occasionally or regularly. We also accept cash and equipment donations such as video cameras, AV, amplifiers etc. that can help the quality of our events. Please follow this link to learn more about donating to us http://london.uxconnect.org/donate.html. If you have any questions, please get in touch at hello[at]uxconnect[dot]org.